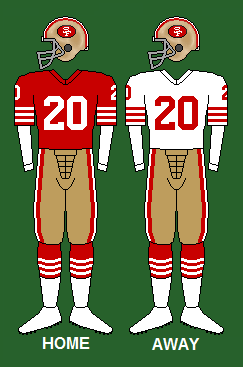 The 1980 San Francisco 49ers season was the team's 31st in the National Football League. This was both Bill Walsh's and Joe Montana's second season with the team. The 49ers looked to improve on their previous output of 2–14 (which they had earned in both of the two previous seasons). They failed to make the playoffs for the eighth consecutive season, but they did improve to 6–10. On December 7, 1980, the 49ers staged the greatest come from behind victory in the history of the NFL's regular season. The 49ers rallied from 28 points down to defeat the New Orleans Saints by a score of 38–35 in Week Fourteen. The 49ers fought a 28-point deficit in the second half to win in overtime 38–35. The game was named as #8 on NFL Top 10 on Top Ten Comebacks.